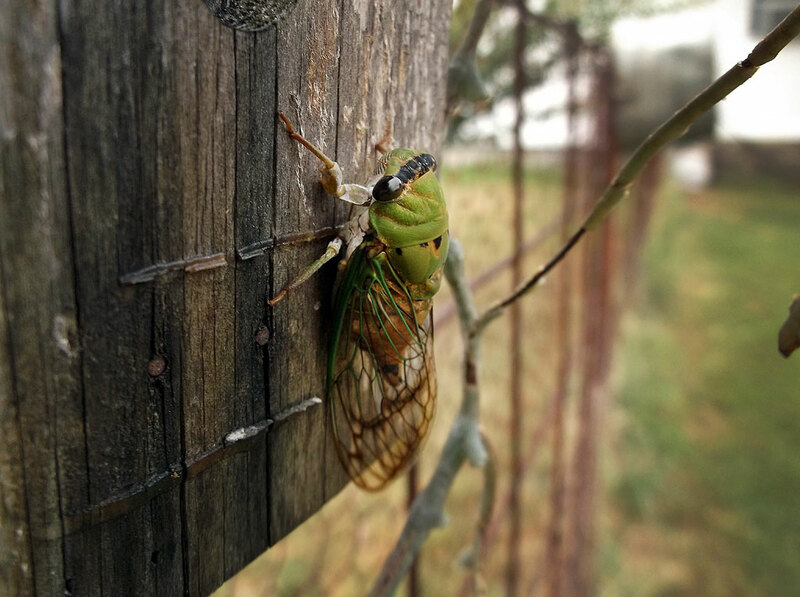 I photographed this cicada on the fence in our front yard this morning with the Fujifilm AX-655. I recently inherited an orphaned Fujifilm point-and-shoot camera from the dusty drawers of my newsroom. A previous editor bought it last September without consulting me, just prior to the company issuing everyone in news, sports and photography (me) a new iPhone 6S. Now everyone in the building shoots with their phones (even me, sometimes), so there was no reason at all to buy this camera. EXIF data shows that fewer than 300 images were made with this camera. I imagine this kind of oddly wasteful spending happens at every business on the planet. My Olympus FE-5020 is the best point-and-shoot camera I’ve ever owned, because it has a sharp lens capable of a very effective wide angle of view. So I’ve been carrying this thing around for a few days, thinking I’ll use it. The point-and-shoot vs the smartphone contest isn’t quite settled yet, despite the overwhelming prevalence of smartphones. 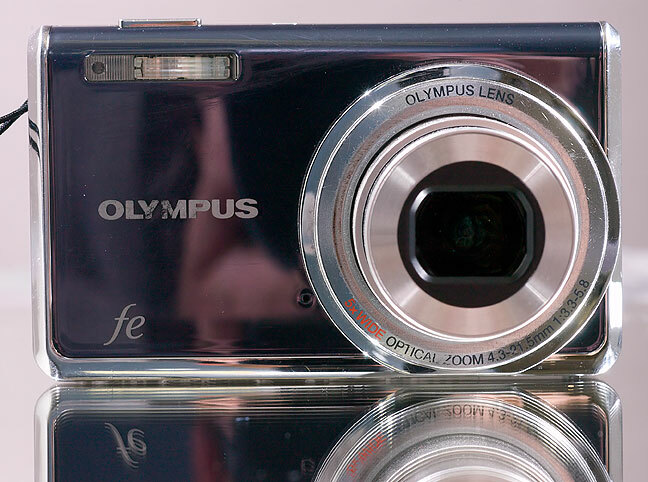 The point-and-shoot camera’s trump cards are its more intuitive and available controls, and real optical zoom lenses. A less but still real consideration is how shooting pictures with your phone, particularly in groups, makes you look like a trend-follower, and the most disturbing trend is seeing people making smartphone images of their lives instead of experiencing their lives firsthand. In some ways, it’s like watching your children grow up on a television screen. 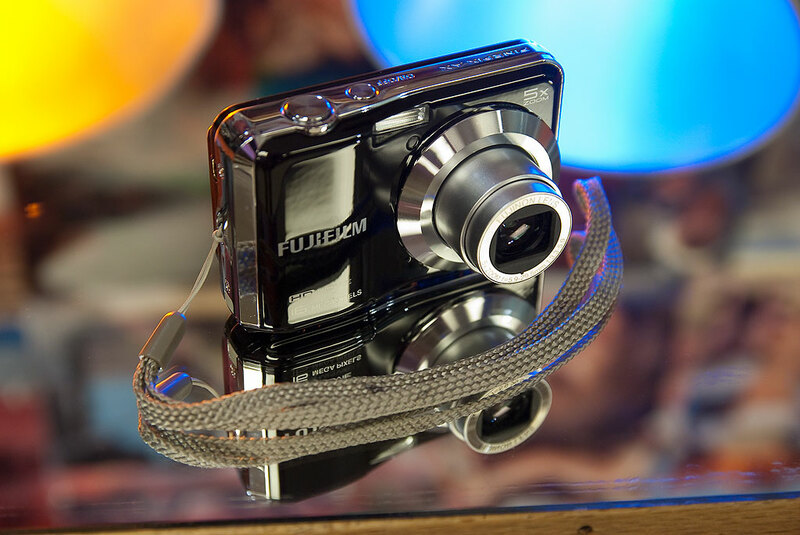 I’ve made one or two images for my newspaper with this camera, the Fujifilm Finepix AX-665. There’s nothing special about the camera, and I’m actually glad about that, since I find it frustrating that controls on digital cameras have constantly been repositioned by engineers, often ending up back where they started, to stimulate interest and sales instead of serving the real needs of photographers. The AX-665 has the welcome four-way selector under the right thumb, and the equally welcome zoom rocker just above it, so I don’t have to hunt for them. The lens is sharp and focuses close (though not true-macro close), but the zoom range only covers the blandest coverage angles. It’s easy to understand how smartphones are taking market share from these cameras, given their zoom ranges. That’s why I like my Olympus point-and-shoot so much better: it has a nice wide angle at the short end of the zoom, wider than any smartphone. For me, the bottom line is, despite the shortcomings of one machine of photography vs the other, is this: every camera is a tool in the toolbox of photography, and the most important thing you can do with it is express yourself. This is the orphaned Fuji Finepix AX-655 that has fallen into my hands. I hope to have some fun making great pictures with it. I, too, have come into a point-and-shoot camera, via the campus newspaper, The Bray: A Nikon Coolpix S9100. Will be taking it on a test drive here shortly. Curious about its capabilities.